Does Taipei have its own Purge Night? Does anyone know? We are guessing that Javier Jiménez knows. Javier always knows. Oh, he knows. You know one things WE know, Javier brings the heat with his latest custom Wananeko series he has created for Taipei Toy Festival. 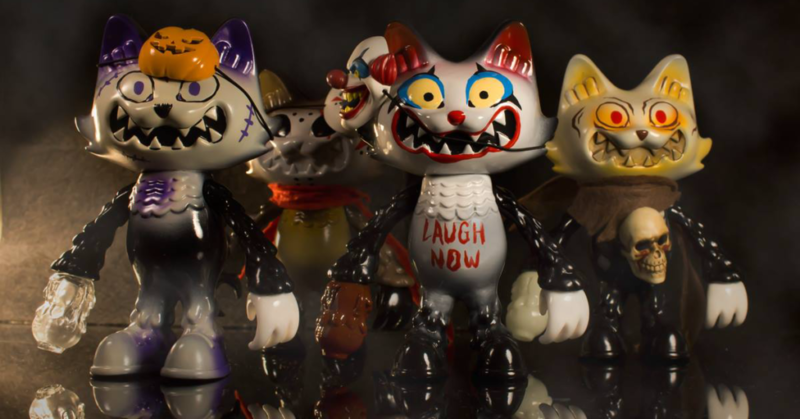 Based on the movie Purge Night, Javier has created four one-off pieces – each a little creepy! You know where you can find Javier on Instagram? Well, HERE, obviously! Go give him a bunch of love from us!